A neat trick your iPhone is capable of is using the camera flash as a flashlight. Your phone normally only shows the flash in certain situations while taking photos, but with the built-in flashlight tool, you can keep the flash on until you decide to shut it off. Your iPhone flashlight is built-in and accessible through Control Center, but you can also utilize third-party apps to turn your iPhone into a unique flashlight, like one that flashes. The iPhone flashlight functionality is supported in iOS 7 and higher. Activating the flashlight on an iPhone is as easy as tapping its icon from Control Center. Open Control Center. Depending on your phone, do this by either swiping down from the top right corner of the screen or up from the bottom. Don't see the flashlight icon in Control Center? To make it visible, open Settings and go to Control Center > Customize Controls. Find Flashlight and tap the plus sign next to it. If you have an iPhone with a 3D Touch screen, a long press on the flashlight icon brings up a vertical slider that lets you control the intensity of the flashlight. The camera flash on the back of the iPhone turns on and stays on until you press the icon again. Flashlight Ⓞ: This free flashlight app for iPhone offers control over the brightness of the flashlight, strobe effects, and even a compass and Maps integration so that you can not only see where you're going but know where it is on a map. Flashlight for iPhone + iPad: Includes a compass and map, strobe mode, elevation tracking, music modes, simulated lighter, pulse that can match beats, and in-app purchases for visual themes. Best Flash Light: This is a free flashlight app for iOS that includes the standard flashlight, strobe, and maps/compass features, along with a magnifying glass, the ability to turn the light on and off by clapping, and much more. In-app purchases unlock features and remove ads. Flashlight ®: This powerful and effective iPhone flashlight app isn't free but it is free from ads and lets you adjust the intensity of the light. Despite Android flashlight apps being known to supply user information to unknown parties, iPhone flashlight apps are not affected. Apple reviews all apps before allowing users to download them. Something to remember when using your iPhone as a flashlight is that doing so can drain your battery pretty quickly. 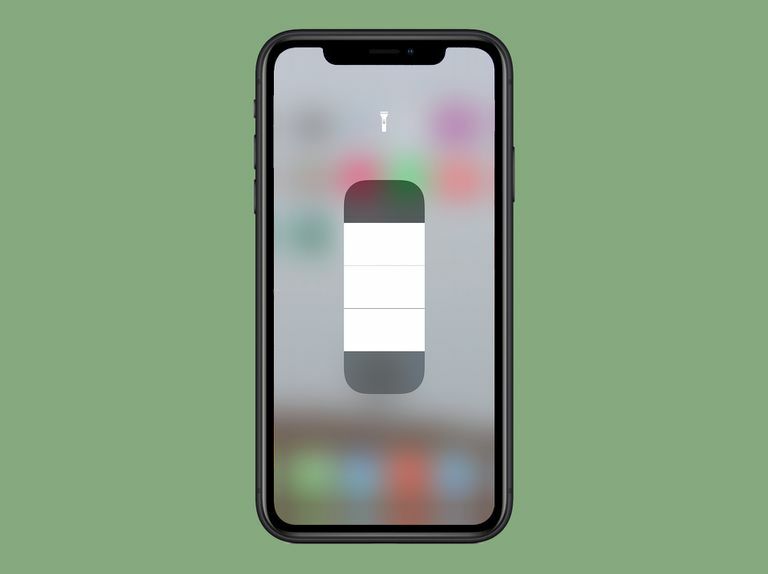 If your iPhone is already low on power and you won't have a chance to recharge soon, please remember to either avoid using the flashlight or utilize battery saving tips to conserve your iPhone battery.